Use Instant Preview to test VR apps that you are building in Unreal Engine instantly on your phone. Instant Preview lets you skip the build process and improve iteration time. The Instant Preview plugin and Android app are bundled with the Google VR Unreal branch. This guide assumes that you have already created a Google VR project in Unreal Engine. If you are new to using the Google VR SDK in Unreal Engine, see the Google VR Unreal Quickstart guide. Connect your phone to your computer via USB. Launch the Unreal Editor and open your Google VR project. The Instant Preview app indicates that it is ready to stream. 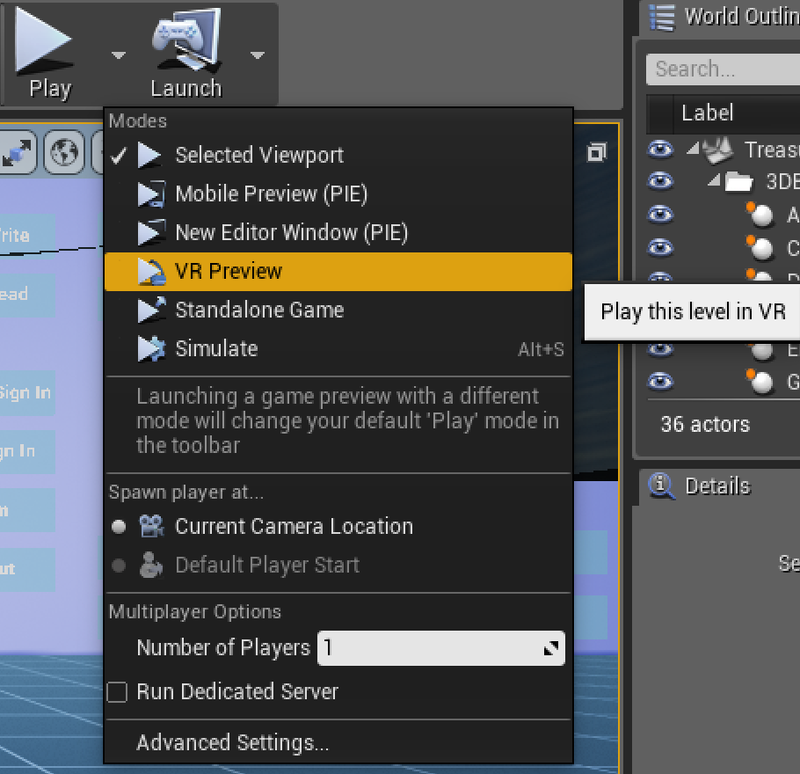 In the Unreal Editor, start your project in VR Preview mode. 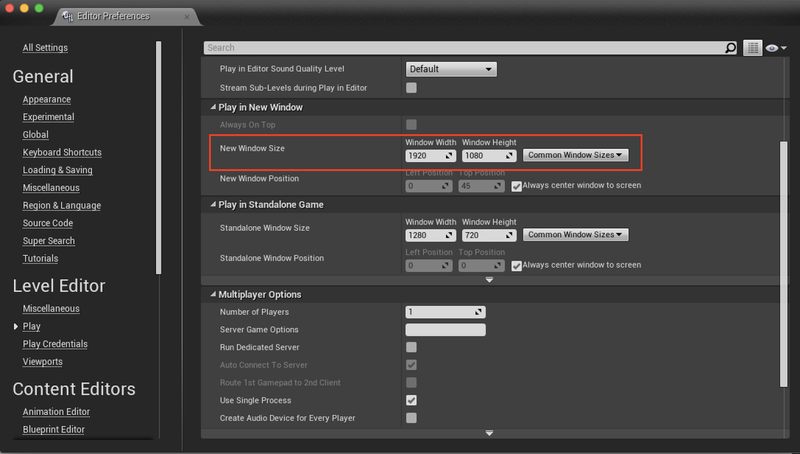 To change the resolution, select advanced settings in the Play dropdown menu, and adjust the play-in-editor window resolution. (Optional)See the following section for details on switching preview modes. If your app is running, click Pause in the Unreal Editor. Click Play in the Unreal Editor to begin streaming.